Apparently Toddy failed the ‘fit and proper’ test on both occasions. 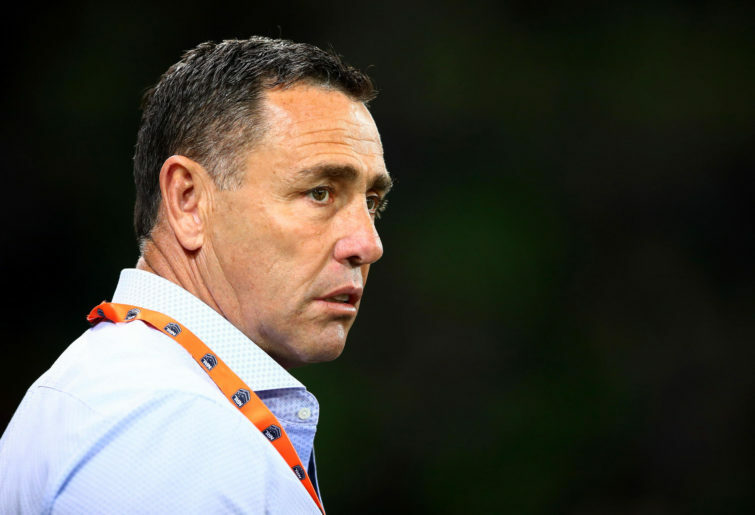 While in Cronulla, it’s been reported that if Shane Flanagan – who has been deregistered from the game indefinitely – wants to make a comeback, he’d have to measure up on the fitness and properness scale. Flano was carrying a clipboard the following season. 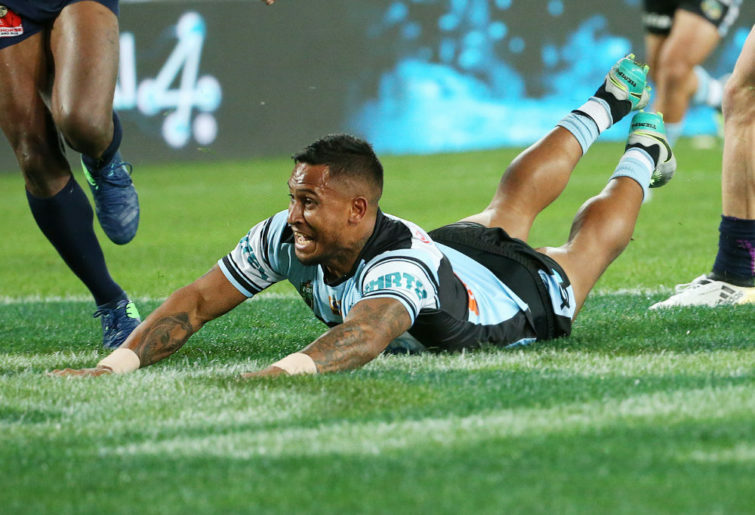 More recently, another former Shark passed the test – one Ben Barba. At least, that was the implication based on the fact he was cleared to play for the Cowboys. Well, he was registered – history of drugs, fights and whispers of domestic violence be damned – so logic suggests Barba was determined fit and proper. 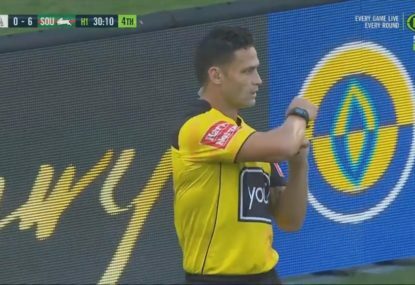 Now, I’m not an NRL Integrity Unit officer, but after the incident at The Ville casino in late January, perhaps they got that one wrong? Perhaps they got Flanno wrong as well, given he was determined to be a fit and proper person, only to be deregistered over failing to comply with the ban he copped in the first place? And perhaps they got it wrong when they allowed Carney back in the game after he was dismissed by Canberra, given he went on to be given the boot by both the Roosters and Sharks (as I said early in his time with Cronulla, with talk of redemption flowing based on his form, “when someone stuffs his life up away from football, the football field isn’t where he needs to redeem it”). Look, we all make mistakes, and the Integrity Unit doesn’t have a crystal ball. But this week, Todd Greenberg intimated that the clubs should have clairvoyant powers. When announcing that Barba was to be deregistered from the NRL – time to find a new vocation, Ben – Dylan Napa was brought up. 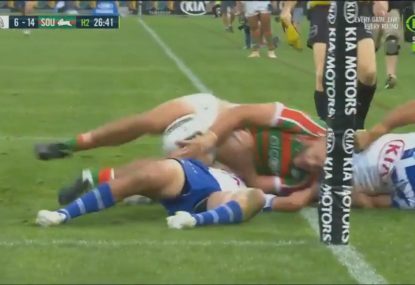 Greenberg was asked by a reporter whether a penalty of Napa missing games would be “harsh” on the Bulldogs, given the videos doing the rounds – not even kidding, Napa was trending on Pornhub a few weeks back (how I know that is really neither here nor there) – were filmed while he was playing for the Roosters. “It might be, but it’s not my primary concern,” the CEO responded. “It’s a bit like the Cowboys. It’s a little harsh on them: they are missing a player that’s never laced on a boot for them. That’s the real difficulty with recruitment and retention for clubs. And that’s where the brakes come squealing on. Clubs need to look at a person’s values? Isn’t that what you’re supposed to be doing, Todd, when you determine whether a person is fit and proper to play the game? The message there is: we looked at Ben Barba, determined he was fine, but the Cowboys were wrong to employ him because his values aren’t good enough. 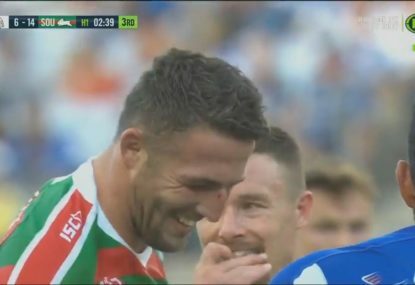 Likewise with Napa: he was fit and proper to play for the Roosters for the last six years, but Canterbury should have known better than to sign him. It’s the definition of a double standard. 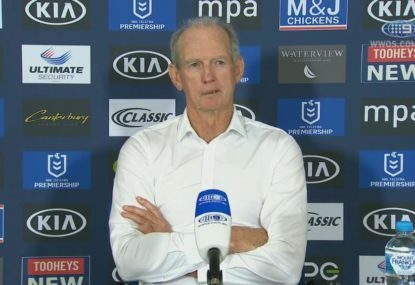 Never mind the fact that Paul Green this week said the Cowboys had done a bit of checking on Barba before signing him – “We did the best we could to find out how he was going over the there and it was all good,” he told League Life this week – why is it incumbent upon the clubs to investigate a player if the NRL says they’re in the clear? Granted, different clubs espouse vaguely different values, but it’s not unfair to assume the game as a whole would not condone what Barba did (nor, I guess, Napa, although the pair aren’t in the same ballpark if the allegations against Barba are accurate). Why bring someone’s values into it if said values apparently align with those of head office – at least enough for the top brass to sign off on the player’s contract? 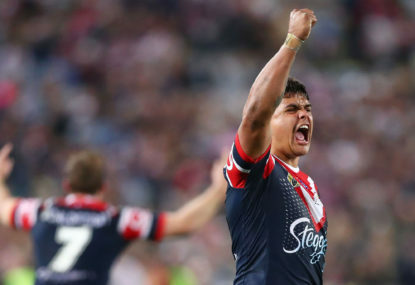 To round things out, at the end of last month, the Sydney Morning Herald reported the Roosters had signed Daniel Anderson. 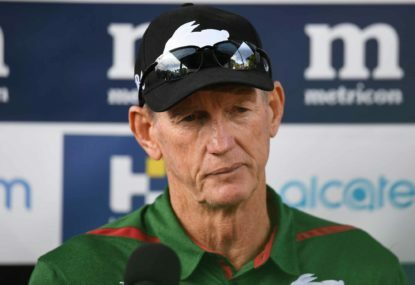 The former Eels coach was struck off for his part in Parra’s rorting of the salary cap, but is making a return with the premiers in a recruitment role. However, before he got the gig, “Anderson had to convince the NRL that he was a fit and proper person befitting registration”. But while his fit and properness is now apparently just fine, Anderson will have “some restrictions on his role” – presumably relating to recruitment and retention, which seems fair enough. But then, if you don’t trust him not to do what he did last time, why bring being fit and proper into the equation at all? Apparently his values can’t be trusted on the rules for which he has spent two years out of the game, but otherwise he’s fit and proper? How does that make sense? I’ve made clear previously my belief that it’s not possible that everyone involved in the NRL is a great person – it’s not based on mountains of personal experience (although there was that incident with the representative prop in a McDonald’s), it’s simple maths. Thousands of people in an organisation means some are going to be ordinary human beings. So it’s not the worst idea in the world to try weed out the dickheads by means of some kind of test. But to dictate from on high that you know best regarding these matters, then turn around and say it’s the clubs’ fault for employing the people you have determined worthy of playing the game is a really weird slap in the face.